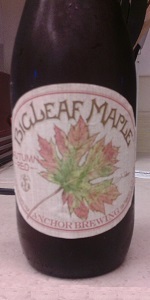 BigLeaf Maple Autumn Red is a quaffable, well-balanced red ale with character. Its malty complexity and coppery color come from a combination of two caramel malts, pale malt, and a hint of maple syrup. To complement these flavors, we used three additions of Nelson Sauvin hops in the brewkettle and a unique blend of Nelson Sauvin, Citra, and Cascade for dry hopping. The result is a distinctive fall seasonal with extraordinary depth and intriguing aroma. Poured from 12-ounce bottle into a tulip glass. Dark copper-amber color, with two fingers of white head that settles into a thin ring with a spotty cap. No lacing to speak of. 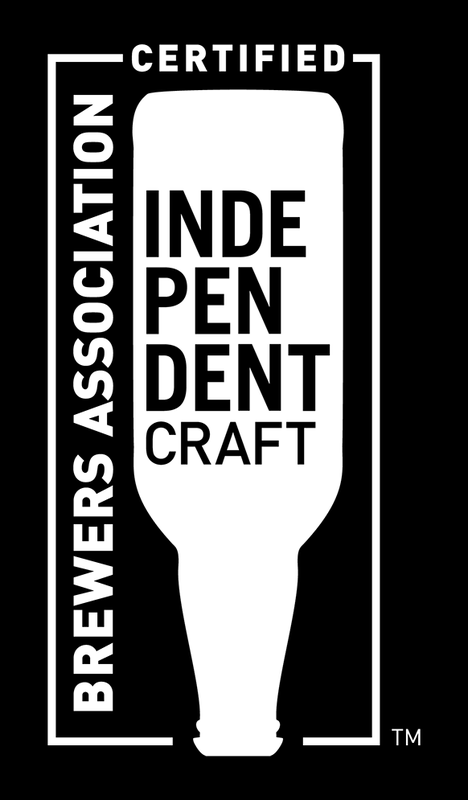 The brewer's notes are spot-on. Very malt forward, with big aromas and flavors of caramel, dark bread, and a little tart fruit. Quite bitter, with a dry, resinous finish and an odd, slight caramelly aftertaste. After doing a little research on Anchor's date code, I was able to determine that this sample was over two years past the bottling date. I'll be looking forward to revisiting this if I ever find a fresh one. A: Poured from a 330ml bottle into a tulip glass at Blue Marlin in Shanghai China. The beer is a dark reddish orange color with a light tan foamy head, 2 fingers with good retention. S: Sweet, but not in the expected way, with a hint of fruit - apples or apricots almost - with just a slight brown sugar or honey sweetness. T: There's the maple, but not super strong. This turns out to be very balanced with even a hint of bitterness. Overall: I was surprised by this beer. A very good fall beer indeed, maybe better than a lot of the seasonal pumpkin beers. Poured into an English pint glass, the appearance was murky dark orange/close to amber color with a nice sturdy rocky foamy white head that settled at a decent pace. Sly roaming lace in rings. The aroma cued up a nice blend of sweet maple, light honey, some caramel/toffee malts, light biscuits and fair dose of sweet earthy hops. The flavor was moderately sweet underscoring the earthy portions to a sustained balance. Aftertaste was smooth malty sweet. The mouthfeel was about medium bodied with a fair sessionability about it. Carbonation felt good. ABV appropriate. Overall, really nice amber ale well worthy of it's seasonal status. Cloudy orange color, lots of carbonation. No real pronounced aromas. Strong hop flavor at first, mellows out to a well-balanced malt character. Hint of maple syrup on the finish, but I was expecting to taste a bit more of it. Still, great to taste a fall seasonal that doesn’t involve pumpkin. Love how the artwork on the bottle varies from year to year. Poured from a bottle into a pint glass. Pours semicloudy red with a fluffy white head. Smells of sweet malt and not much else. Tastes of roasted malt with caramel and candy notes. Beer is light bodied and easy drinking, decent carbonation. Overall a slightly above average beer. Unknown vintage; drank 9/27/14 @ the Yarchives. HUGE cream head; strong lace. Herbal Essence shampoo & a hint of honeyed grain notes on the nose. Not appealing. Herbal Essence shampoo up front; pickle juice finish. Cigarette ash as it warms. Nearly undrinkable. Pours a slightly rusty amber red with a thin half finger of off-white foam. Slightly piney and grassy notes, a subtle hint of sweet caramel malts, and a bit of earthy/woody notes. Pine, citrus notes, caramel, toasted malts, and earthy hops notes. Light-bodied, medium carbonation, bitter, dry finish. Overall, I was expecting more from this, not much maple to speak of, need work. Comparing to maple mistress. Falls short of that, but not bad. Taste has some maple, but not real strong. Ashy aftertaste.